Grain or grain free, do you know the difference. If you are like me, you probably didn’t but thought grain free has to be better for my dog or else why would all the dog food companies start making foods without it. Grains are complex carbohydrates. These complex carbohydrates are rich in energy, digest slower than simple carbohydrates. These carbohydrates are important source of essential nutrients. 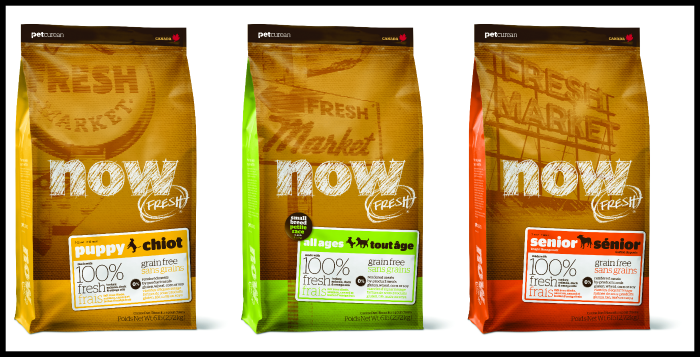 Petcurean has several wonderful different varieties of dog food with whole grains within the Go! family of products. Grains that are commonly found in dog foods are barley, corn rice, oats and wheat. So if your dog has a grain allergy, or at least you think he does, it’s important to take them to the vet and have them tested to see what grain they may be allergic to. It is important to note the difference between whole grain and just plain grain. Whole grains contain the whole grain which includes the endosperm, germ and brand layers. Refined grains remove the nutrient rich bran and germ layer. Whole grains promote digestive health, are an excellent source of complex carbohydrates and are very rich in fiber. So what does a grain free diet mean? Well the complex carbohydrates need to be replaced so things like lentils, chickpeas, potatoes, sweet peas tapioca and peas can be used. If your pet has been diagnosed with a gluten allergy, than you may want to stay away from grains such as wheat, barley and rye. Most pets can tolerate grains without any problems if they have not been diagnosed with a gluten intolerance. The great thing about the introduction of grain free foods on the market is that it allows for more variety and the ability to find the specific food that is right for your dog. 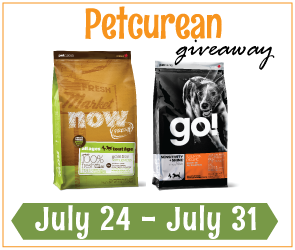 Don’t forget to visit this Friday, July 24th for a Petcurean Giveaway!! Grain/no grain is a recent issue I have been debating about myself lately, funnily enough. My dogs have dry skin, so we’ve changed their food onto a diet with lower grain than our old food. We hope this should help, even though we haven’t gone completely grain free. I don’t have an issue with grain, but not a diet with an excessive amount. 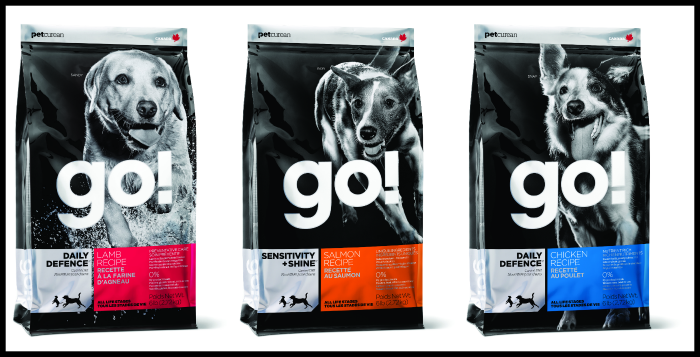 I’ve just recently switched the Boys to a dehydrated complete food from THK. 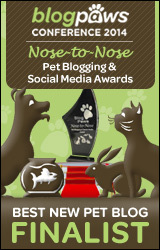 There are limited ingredients and a few grains but it’s great for both puppies and adult dogs. There’s so much to learn about feeding your pups these days. Thanks for a very interesting and well detailed post.